Vivo V15 Pro Key Specifications Leaked Ahead of Launch - Playfuldroid! Vivo will be unleashing the Vivo V15 Pro smartphone on Feb. 20. The Chinese manufacturer is also expected to announce the Vivo V15 alongside it. A fresh leak has revealed the key specifications of the Vivo V15 Pro. It also contains information on its price tag. According to the freshly leaked information, the Vivo V15 Pro will be arriving with a 6.39-inch Super AMOLED display. It will be a notch-less screen that will carry support for full HD+ resolution. The display of the phone is integrated with an in-screen fingerprint reader. The Snapdragon 675 chipset that was announced in October 2018 could be first seen on the Vivo V15 Pro smartphone. The SD675 chip of the V15 Pro could be supported by 6 GB of RAM. It may come with a native storage of 128 GB. For extra storage, the phone could be equipped with a microSD card slot. 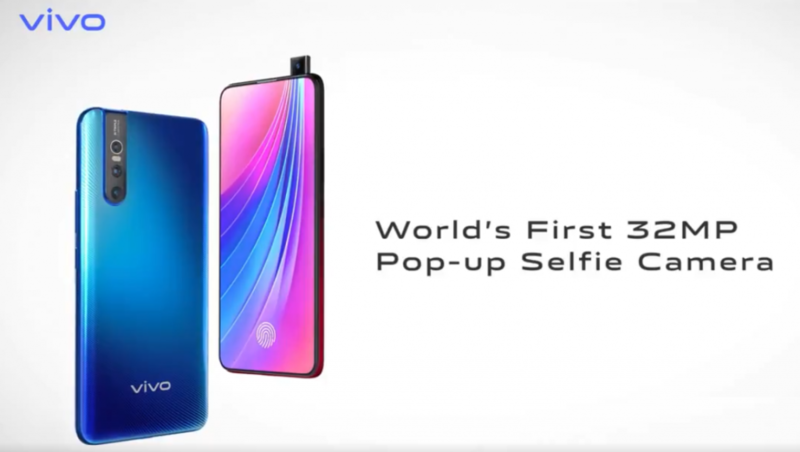 The Chinese firm has already confirmed through an official tweet that the phone is fitted with a pop-up selfie camera of 32-megapixel. The triple camera module present on the back panel of the V15 Pro features a 48-megapixel main sensor. It is assisted by 8-megapixel secondary sensor and 5-megapixel. The phone could be packed with a 3,700mAh battery. Vivo had introduced the dual-engine fast charging technology on the Vivo V11 Pro smartphone. The same rapid charging technology could be available on the V15 Pro. Even though multiple reports have claimed that it could be priced between Rs. 25,000 ($350) and Rs. 30,000 ($420) in India, the new leak claims that the phone may cost around Rs. 33,000 ($462).